Professor in the Engineering Technology department at Butler County Community College. 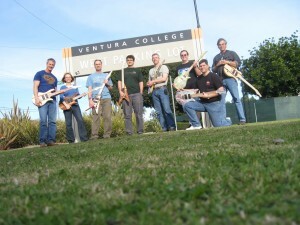 In addition to full time teaching, development of curriculum, advising and consulting Mike has served as a Co-PI of an NSF PLM Grant out of Purdue University , PI of an NSF Grant focused on STEM technology education using the guitar and presently is serving as a Co PI of the LEAD Guitars with STEM NSF grant. A seasoned professional with over 25 years of teaching experience, Mike is passionate about ensuring relevancy of education for today’s students. His educational philosophy and mantra is “Connect with the culture”. This innovative teaching program has garnered remarkable media attention, igniting a renewed enthusiasm for STEM studies. Through grant presentations across the country, Mike and the team have found that math and music are truly universal languages that span gender, age, socio-economics and race. Woodworking has always been an important part of Allen’s life. He was fortunate to have a quality woodworking experience at Millersville University that he values in his success. Teaching at Pennridge has allowed him to instruct students in what he loves. He has contributed to the skill development and talents of numerous students. Along the way many of them have attended Millersville to continue their experiences. 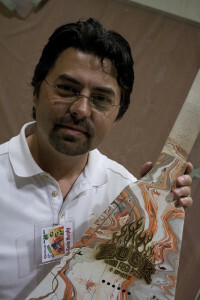 A variety of craftsmen have influenced Allen along his journey and he has received extensive training from many of them. He has been trained in wood turning, Shaker box making, chair making, ukulele and guitar building. The skills that he has learned have then been passed to his students and can be observed in their projects. Guitar and ukulele building has been an enjoyable and creative experience for Allen. When he heard about STEM Guitar he immediately saw value in implementing it into the program at Pennridge. Luckily, Pennridge School District and the community have supported his efforts. It has been a positive experience for Allen with many new friendships along the way. Steve is Professor Emeritus of Applied Technology at College of the Redwoods in Northern California. He has taught engineering design and related subjects at the community college and university level level for 33 years. Steve enjoys making learning relevant, challenging, and exciting for students – all defining traits of The STEM Guitar Project. He has found the guitar to be a great interdisciplinary teaching tool that inspires students and teachers to ‘Take it up to eleven”. Dr. Imelda Castañeda-Emenaker is currently the Chief Operating Officer (CEO) of REaCHaLL, LLC. She has over 20 years of experience conducting and leading evaluations for local, state, federal-funded, and privately-funded projects that include STEM-related projects promulgating STEM concepts in workforce development and the inclusion of underrepresented populations. Among these projects were Mechatronics Project of Gateway Community Technical College and the Greater Cincinnati STEM Collaborative. 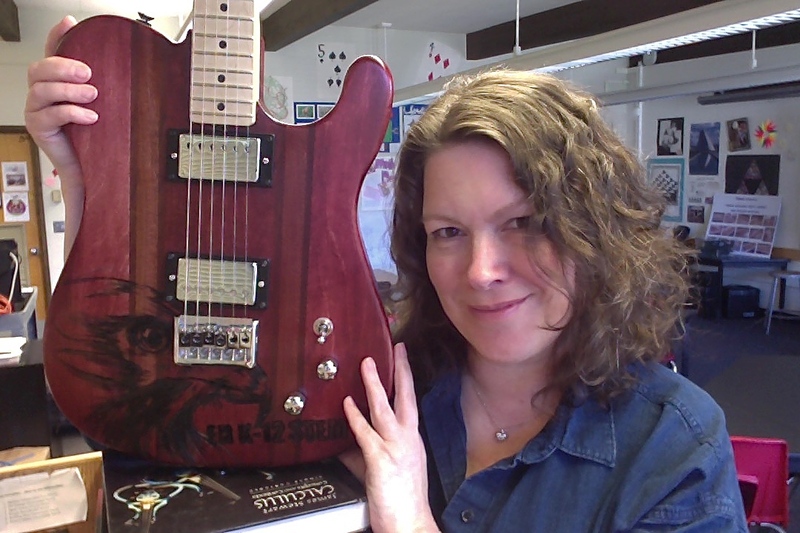 She has served as the lead external evaluator for the NSF/ATE LEAD with GUITARS/STEM Guitar Project since 2010. 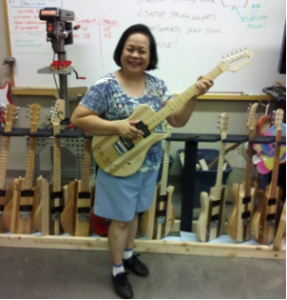 She participated in the guitar building workshop and built her own guitar to have a better context of teachers going through this professional development. Guitar building has truly helped a lot of teachers in improving their students’ interest in their classes, thereby improving their classroom performance. Dr. Castañeda-Emenaker worked as a Research Associate and Adjunct Professor at the University of Cincinnati. As an Adjunct Professor, she taught basic and intermediate statistics, qualitative research, and program evaluation. In her teaching experiences, she has always included experiential learning, simulated activities, and applications of theoretical knowledge to real-life situations. Overall, her applied research and evaluation experiences has resulted in publication of a book, two book chapters, five manuals/resources, and over 150 technical reports, 50 national presentations, 20 regional presentations, and 11 international presentations. Just a few miles north of Seattle at Edmonds Heights K-12, Nancy teaches high school math and guitar and ukulele building. In 2011, she and the school’s technology teacher co-founded the Guitar Building & Beyond STEM Program at Edmonds Heights. Since then, Nancy has guided scores of students through the design and engineering process of building custom stringed instruments, highlighting the naturally occurring math and science of guitar construction and music. Nancy is National Board Certified in mathematics and a Claes Nobel Educator of Distinction. Physics, Physical Science, and Principles of Engineering teacher at New Philadelphia High School, New Philadelphia, Ohio. PhD Student in Curriculum and Instruction, with a concentration in Science and Astronomy Education, University of Wyoming. Debbie taught high school physics, physical science, and Principles of Engineering (a Project Lead the Way course) for eight years in Ohio. She implemented the guitar program in her junior-senior college preparatory course. 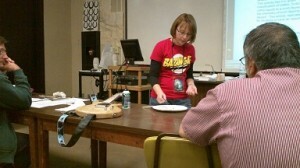 Her students had the option of building the guitars as a credited independent study. Because of implementing the guitar program, enrollment in physics went from 14 to 65 students, with a 50-50 male/female ratio. Her students also had the opportunity to work on a research project with Dr. Mark French of Purdue and with Dr. Fan Tao of the D’Addario guitar string company. Debbie was the 2013 High School PLTW Teacher of the Year for Tuscarawas County and was a finalist in the 2013 Dr. William J. and Mae Hurst Jackson Award for Distinguished Teaching. Her research interests include authentic scientific research experiences for teachers and students as well as integrating STEM into the curriculum and STEM partnerships. Professor, Mechanical Engineering Technology, Purdue University, West Lafayette IN. Mark was trained as an aerospace engineer, with degrees from VA Tech and the University of Dayton. Before coming to Purdue, he spent 10 years as a civilian engineer for the US Air Force at Wright-Patterson AFB in OH, working on problems in aeroelasticity and photomechanics. Tiring of secure employment, he moved to the auto industry where he was a senior engineer and a lab manager, specializing in noise and vibration. Finally convinced he knew enough to be able to teach aspiring engineering technology students, he came to Purdue in 2004. Mark teaches classes in the area of mechanics, math and design optimization. 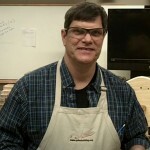 He runs a guitar making lab at Purdue and has worked on projects for several major manufacturers over the years. Has authored more than 100 technical publications including the books Engineering the Guitar and Technology of the Guitar. When not doing musical things, he works with companies to help them solve design and manufacturing problems. He has personally built several dozen guitars of different types and helped students build hundreds of their own. He is quite partial to acoustic guitars and trying hard to become a maker of fine instruments, though the path appears to be a long one. His skills as a guitarist have been described as adequate. Norman Geiger first picked up a guitar in 1974. He played in bluegrass bands, his high school jazz band and pit orchestras for college musical theatre. 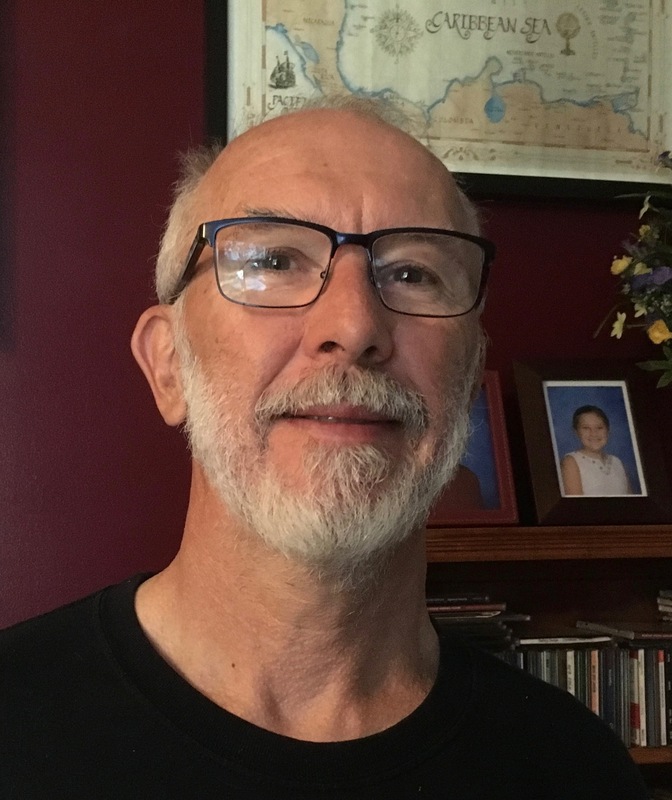 After earning a degree in geology, he fell in love with the physiography of the Colorado Plateau, and enjoyed a long career in northeast Arizona as a science teacher for Ganado High School on the Navajo Nation. There he implemented a STEM Guitar class. 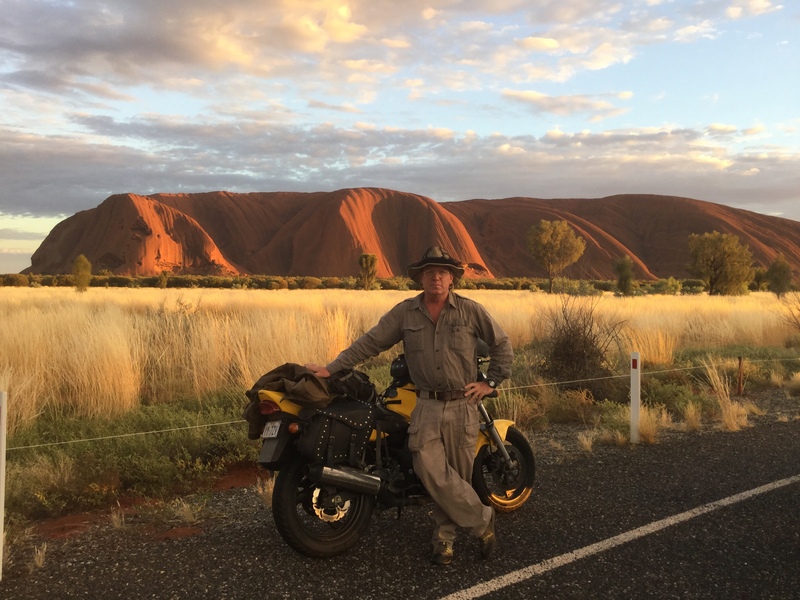 Recently retired, he keeps himself busy working part-time for his old school, guiding for Road Scholar, staying involved with the STEM Guitar Project, and travel. He lives in an off-grid place he built himself outside Flagstaff, Arizona. In addition to serving as co-PI on the STEM Guitar Project NSF grant, Sean is an instructional designer/developer at the San Diego State University (SDSU) Instructional Technology Services department, where he develops online education and instructional media for faculty and students, with a focus on augmented, virtual, and mixed reality. Sean also helps manages SDSU’s course capture systems, learning management system, and the Instructional Technology Services web presence. Previously, Sean was Technology Director at The Grauer School in Encinitas, California, and 3D Data Specialist at Google. Sean is currently a doctoral student in the Claremont Graduate University (CGU)/San Diego State University (SDSU) Joint Doctoral Program in Education, with a focus in Higher Education/Student Affairs. Previously Sean completed a M.Ed. in Educational Technology at SDSU, and his B.S. in Architecture at University of Colorado, Boulder. Doug Hunt teaches engineering and technology courses at Southern Wells Jr-Sr High School. 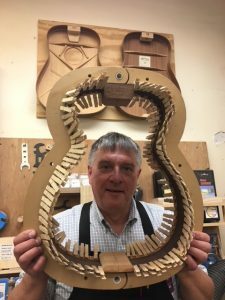 He has been playing the guitar for 30 years, and building guitars for the past seven years. Besides teaching at summer institutes, his role in the grant has been R&D, prototyping new designs, and principle designer for a number of the instruments on the web site. His school produces electric bass kits and many of the fretboards used in the guitar kits. Doug has been recognized by the Engineering and Technology Educators of Indiana and International Technology and Engineering Education Association. 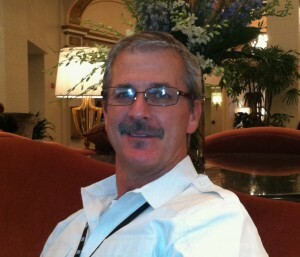 Teacher of industrial arts and engineering drafting at Kiona-Benton City High School for 22 years. Implemented guitar building program in 2012 and have integrated ukulele and acoustic guitar building into the curriculum. Formal education includes attending Washington State University, Eastern and Western Washington University where a Bachelors degree in Technology Education was earned. He also received a masters degree in Education from Heritage University in Washington state. A drummer at heart, building guitars has turned into a huge passion thanks to the incredible folks who developed the STEM Guitar program. Guitarbuilding.org is the game changer for the students and industrial arts/manufacturing programs taught at Ki-BE HS. Professor, Electronic Technology and Electrical Engineering Technology, Mesa Community College, Mesa Arizona. I attended California State Polytechnic University in Pomona California where I received my Bachelor in Electrical and Electronic Engineering in 1984. In 2005 I completed my Masters in Curriculum and Instruction at Ottawa University. I have attended and participated in several of the guitar building workshops. I worked in the military industry for several years working on shoulder launched missiles using them to make radiometer units for data analysis. I also worked with Intel Corporation for 6 years designing micro-controller motherboards for customer development. I have taught at the college level for over 23 years. 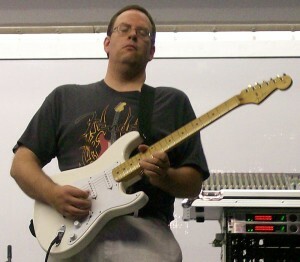 I teach classes in the area of electronics circuit analysis, math and electronics through custom guitar building. I run a guitar making lab at Mesa Community College where we continue to grow by building guitar projects, pedals, and even built our first 5W tube amp. I have personally built many guitars of different types, shapes, finishes and complexities always pushing the limits of what we do and how we do it. Each guitar being unique has its challenges from a hardware or finish standpoint. I have built our first Kahler USA based roller bar guitar whammy and the project appears to have produced a great playing guitar. We keep building jigs, and coming up with ideas to make things better and easier with the goal of quality guitars. I have helped students build hundreds of their own guitars with various levels of modification and finish. Our goal is not to build guitars but to build custom guitars that fit the flavor of each students dreams. I play guitar both acoustic and electric, but find playing challenging when building so many guitars. It leaves very little playing time. 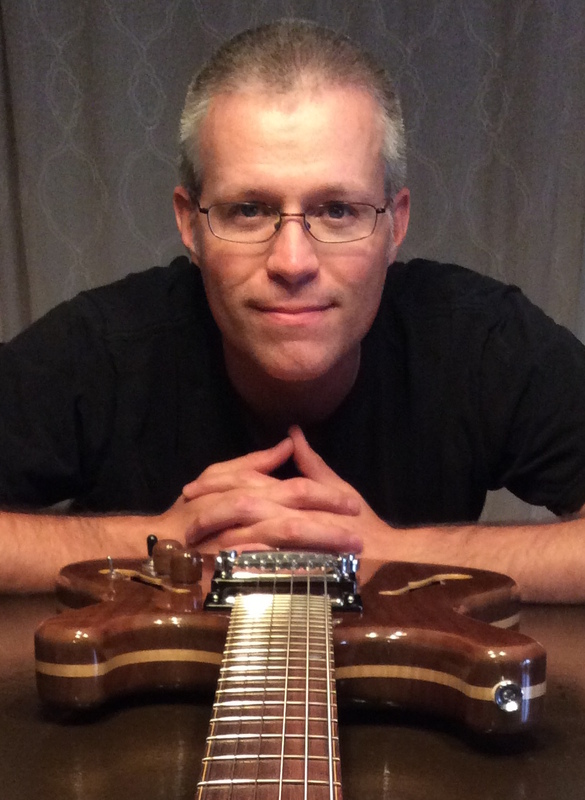 Chad joins the development team after five years of teaching STEM Guitar courses at the high school level and more than a decade of building guitars of his own design. He attended his first summer institute in 2012 in Ventura, California and assisted at a 2015 institute hosted by Noble High School in North Berwick, Maine. This year, Chad has taken on a new position teaching math and guitar building at Wells High School in Wells, Maine. With a full roster of students eager to make their first wood shavings, he is excited to bring the program into a new school. 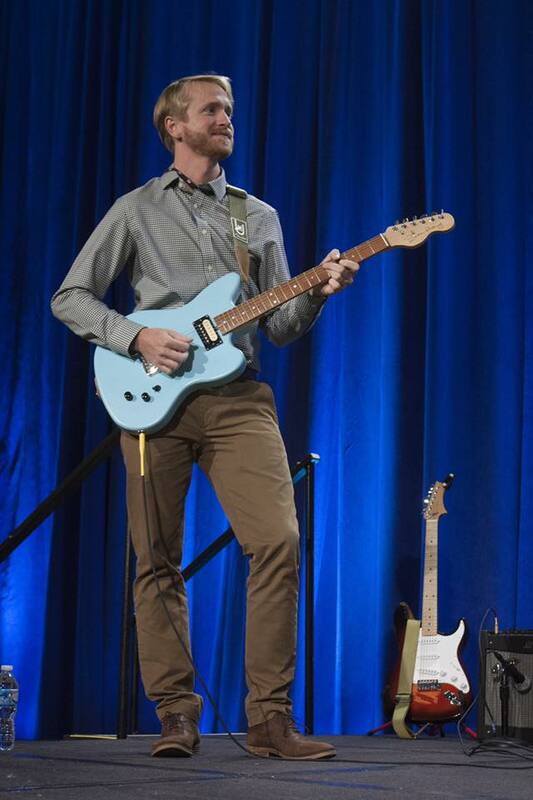 By participating on the development team, Chad is excited to help advance the STEM Guitar program at the national level. 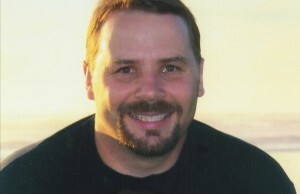 Alex Moll has been teaching in Lake Stevens, WA for over 20 years. 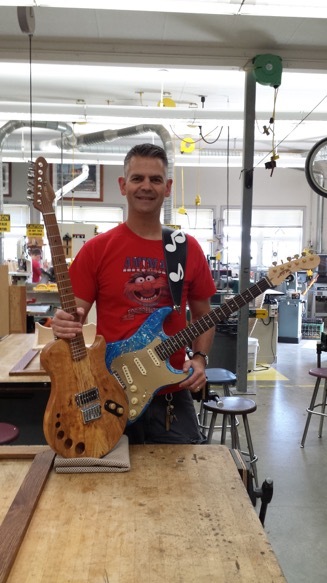 He has been running the Lake Stevens Middle School wood shop for 7 years, and started an after school guitar building club 6 years ago. Since then he has helped build nearly 100 guitars. 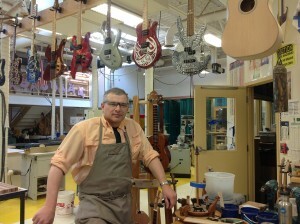 He has also taught adults, college, and high school students to build guitars. Alex is passionate about woodworking, and making things in general. He’s not much of a guitar player yet, but has played off and on since middle school. One of his life goals is to become a competent guitar player. In the meantime, he just loves building them, and is quick to point out that Leo Fender didn’t play at all! Alex grew up on a farm in Oso, Washington. In high school, he did some logging, has been employed as a finish carpenter, and has two degrees in forestry from the University of Washington. He also spent over 23 years in the Navy Reserve Seabees, and retired in 2010 as a Master Chief Equipmentman (E9). Marketing and Program/Project Development Specialist. Kevin has the unique capacity to connect the Guitar Building Workshop with suitable community partners, including school districts, media outlets and the local music industry. After a 19 year career in marketing and project development in the radio industry, including developing and managing key targeted listener events, Kevin received a Project Management certificate degree from Edmonds Community College. The Project Management education combines his background in coordinating the collaborative effort of multi-dimensional partners and his long standing relationships in the public, corporate, institutional, government, charitable and music industry arenas. In addition, he has a five year working history with a higher educational institution focused on generating media exposure for education programs via major market media outlets. department at PHS win the Program of Excellence award for Pennsylvania for 2017. (Bethlehem, PA) and Martin Guitar (Nazareth, PA). “Being able to bring an amazing experience like Guitar building to my alma mater has been incredible. Professor of Manufacturing Technology and Design at Ventura College. 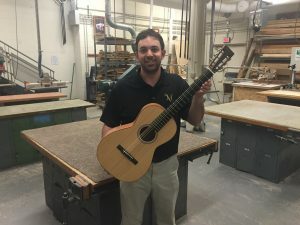 The STEM guitar project’s Principal Investigator, Tom focuses his instruction in the area of design and manufacturing of products in the MET program curriculum. He also manages the guitar manufacturing lab @ Sinclair which produces 1700+ guitar kits a year for the STEM guitar project. 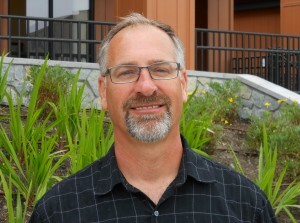 A PLTW affiliate professor for IED, NISOD Teaching Excellence award winner, Certified Autodesk instructor and ETAC-ABET Commissioner, Tom has taught both at the high school and collegiate levels. “On this type of project you need to focus on product improvement; our team has done that on a continual basis to create a product that makes the implementation easier.” The STEM guitar Project is now on its 7 generation of guitar improvements since our manufacturing started in 2007. Eddie (Ed) Ufford, a native of Kellogg, a city in the Silver Valley of Northern Idaho. He now resides in Richland, Washington. Richland is a city in the desert southeastern part of the State, at the confluence of the Yakima and the Columbia Rivers. Ed currently teaches Computer Aided Drafting and Woodworking for high school students in Richland, WA at Hanford High School. He has taught and coached in the Richland School district for over 22 years. Completed his Bachelors of Science (BS) degree from Western Montana College in Industrial Arts & Technical Education in 1991 and earned his master’s degree in Education by 1996. Ed implemented guitar and ukulele building four years ago. 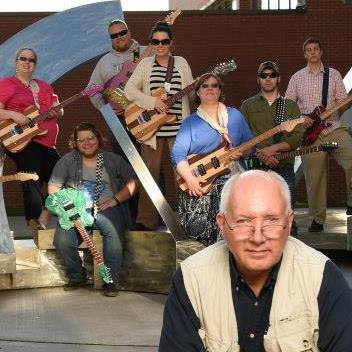 To date his students have built over 85 electric guitars and 45 acoustic tenor ukuleles. Ed dreams that one day he will actually learn how to play something other than the riff to “Ghost Riders in the Sky”. But until then, he takes comfort in knowing that he shares many to the same individualities of Leo Fender—likes to play pinochle on a Saturday night, obsessed with work and doesn’t play the guitar! Tim is recently retired from Kankakee Community College (KCC) where he served as Professor and Program Coordinator of Electrical Technology. Tim brings the experience of earning and serving as PI on his own NSF/ATE Projects related to Renewable Energy Technician Training. 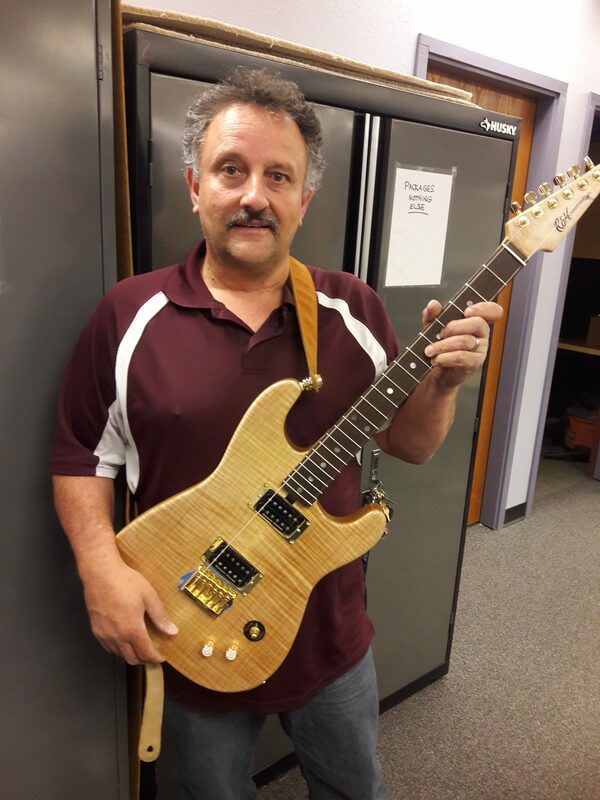 After discovering the STEM Guitar Project at an annual, NSF/ATE PI Conference, Tim started a STEM Guitar course at KCC, as a technical elective in KCC’s Electrical Technology Program. Tim’s STEM Guitar students have included college staff, faculty, and several of the college Deans; as well as very enthusiastic, traditional students. Tim maintains his license as an Illinois Registered Professional Engineer; and, as a Master Trainer Emeritus with the Interstate Renewable Energy Council (IREC). Prior to this year’s retirement, Tim was also an Illinois EPA Class “A” Public Water Supply Operator, a NABCEP-certified Solar Installation Professional, and was also certified with both SKALA and CITCA as a Wind Tower Rescue Trainer. Tim has earned a number of awards during his tenure at KCC, including two, national-level awards: the IREC 2013 Clean Energy Trainer of the Year; and, the IREC 2014 Accredited Clean Energy Training Provider of the Year. 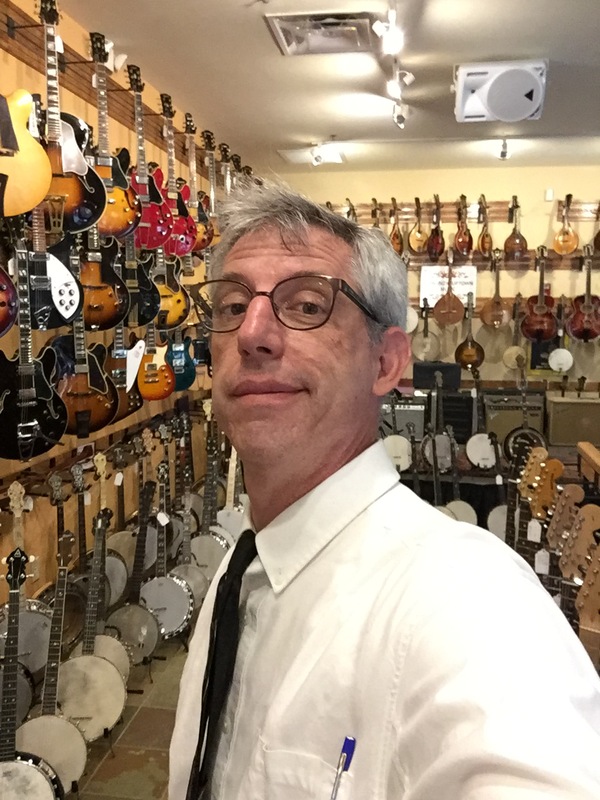 Tim is a “kinda OK” guitar player who plans to keep teaching and improving KCC’s STEM Guitar course, as an adjunct instructor, as long as he’s able.